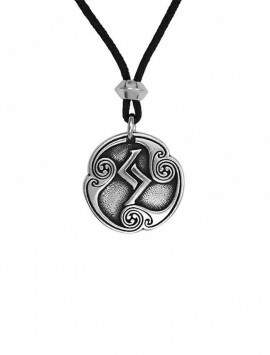 The Armanen rune set was originally developed by Guido Von List (1848-1919), and he claimed them to be a rediscovery of the primal Ancient Magical Runes. 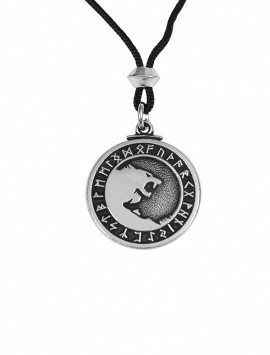 These runes came to List in a vision while he was temporarily blind. 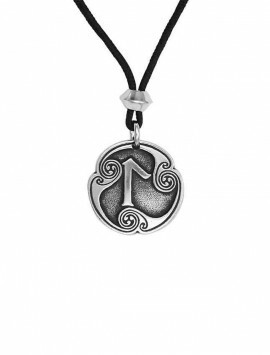 The most original concept in his rune set is List’s claim that his 18 runes correspond to the “18 Magical Spells” spoken by the Norse god Odin. 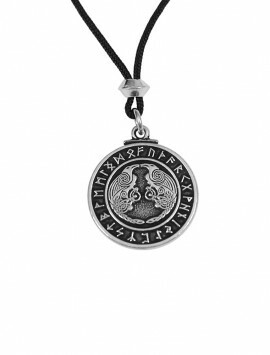 In the old poem, Havamal, “the high ones words”, Odin speaks of 18 spells to avert any woe in the struggles of life. 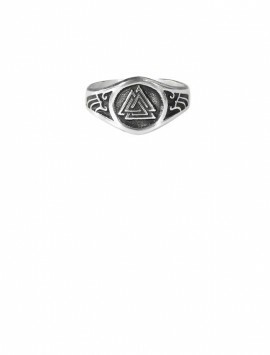 There are spells for Victory in War, Healing, Marriage, Protection in Battle, and so forth. 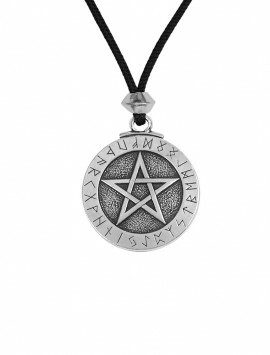 Guidance by these runes maintains a healthy, balanced way of being, in accordance with the rest of Creation, a harmony between Man and Nature. 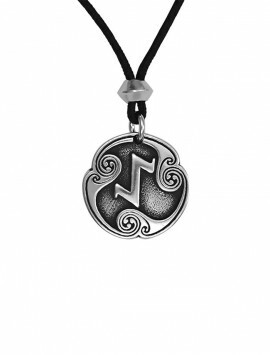 On the front of our original Magical Amulet, is the Mother Rune, Hagal, in the Tree of Life form. 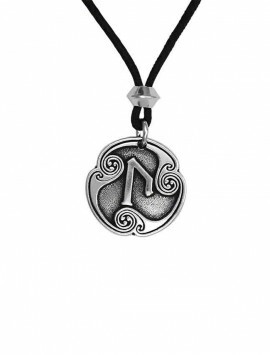 SKU: 412-086 Category: Norse & Asatru. 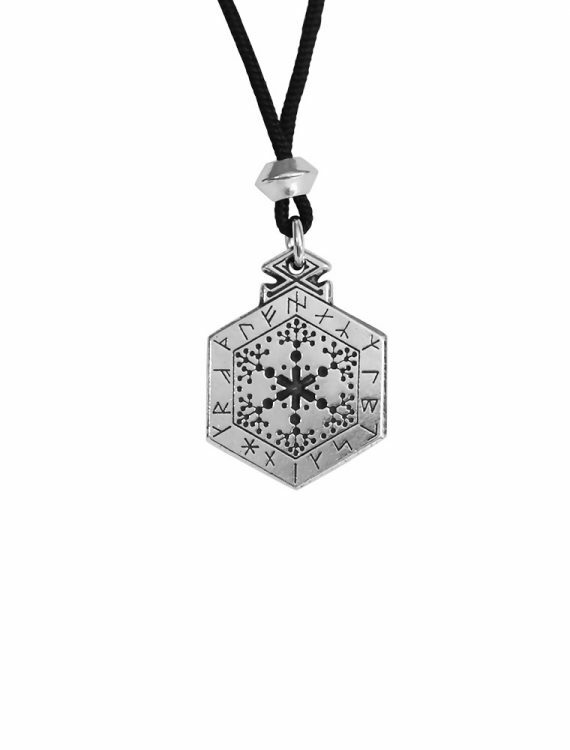 The 18 “blooms” around the branches of the Tree correspond to the 18 runes. 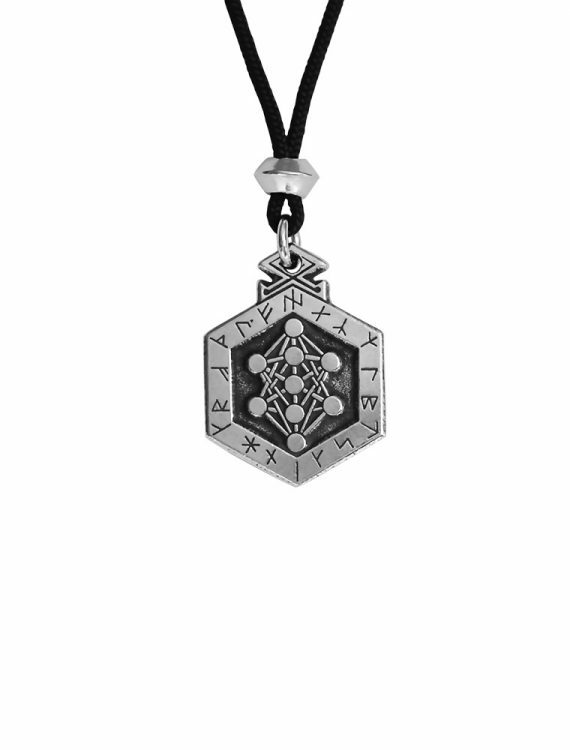 “Follow the laws of nature, and harmonious growth is the reward.” The back of the amulet has the runes laid around the World Tree map of Yggdrasil, showing the nine halls of the gods, or the nine dimensions. 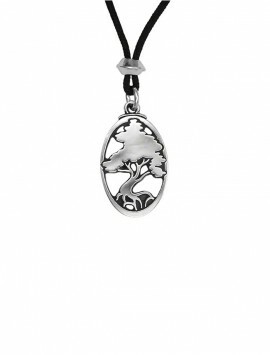 The central world in the tree is Midgardh (middle garden), where we exist and where all things are possible. 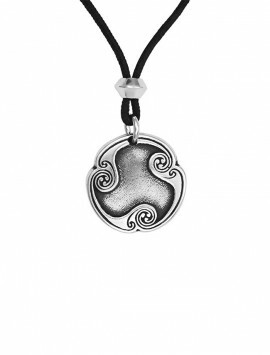 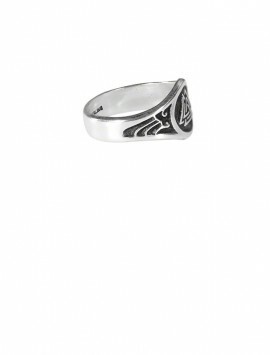 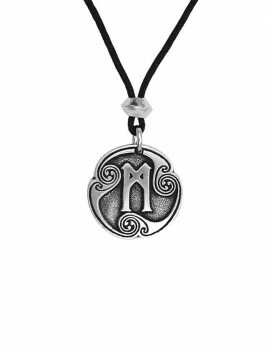 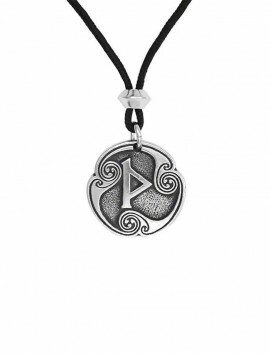 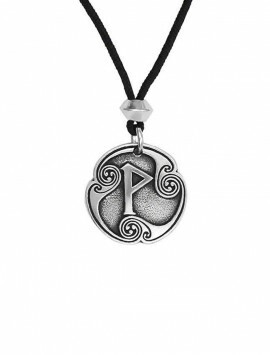 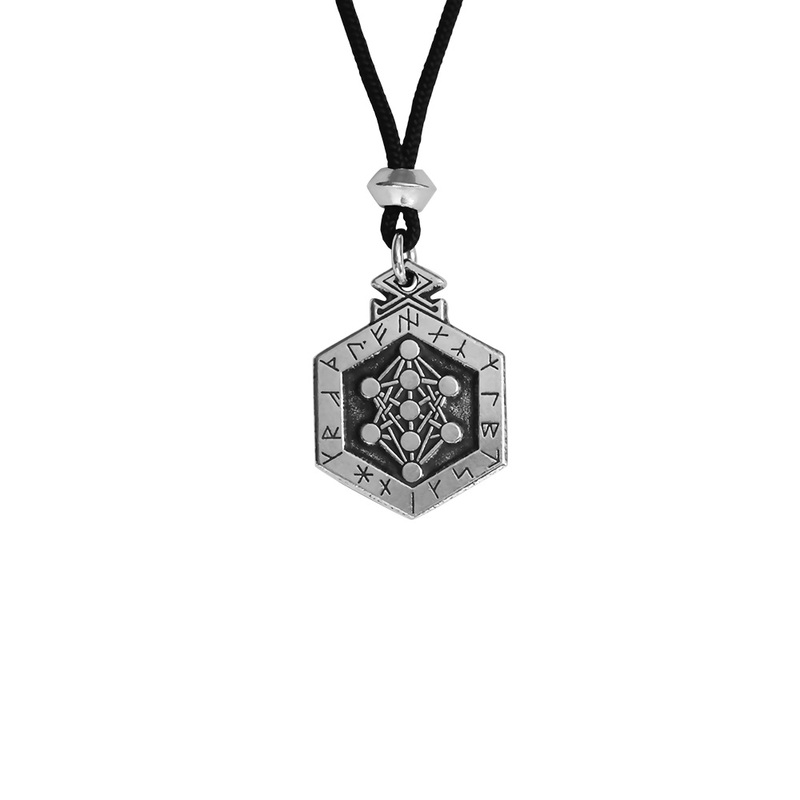 This Magical Amulet is designed to bring the wearer all the benefits of the individual runes, and to bring ones Being into Harmony with Nature, ensuring a Happy, Healthy life, and to bring Balance, Strength and Longevity to ones life. 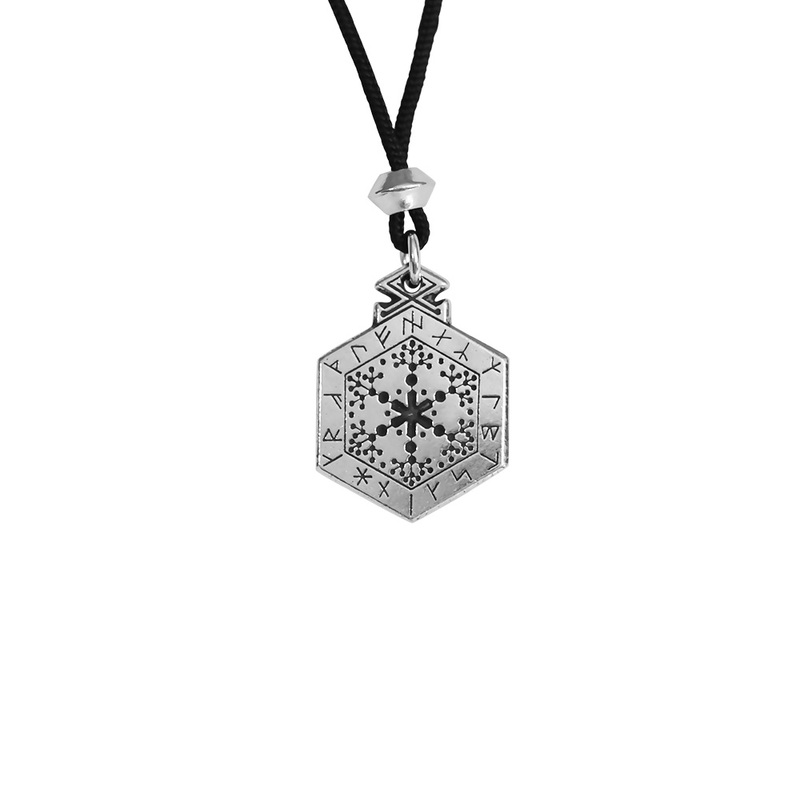 A Kano Diebitsch design.